Investigation into loss of F-16I during operation over Syria on Saturday suggests pilot could ordinarily have evaded aging S-200 missile. The loss of an F-16I “Sufa” fighter jet, an advanced two-seat variant of the F-16 “Fighting Falcon”, during combat over Syria on Saturday was an 'operational failure', officials in the Israel Air Force now believe, according to a report by Channel 10. Last Saturday, a squadron of Israeli F-16I fighters struck a dozen Syrian and Iranian military targets around Damascus, in retaliation for the violation of Israeli airspace by an Iranian “Simorgh”-type unmanned aircraft earlier that day. Using air-to-surface missiles, the F-16I fighters destroyed the command-and-control unit which operated the Iranian drone, as well as other military targets in the area. During the operation, Syria’s air defense network fired dozens of missiles at the Israeli aircraft. Most of the missiles fired were older, Soviet-built S-200 “Dubna” missiles (designated as the SA-5 Gammon by NATO). 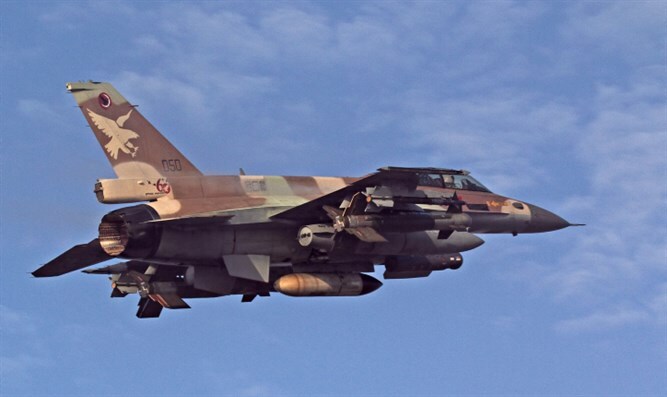 One of the S-200 missiles exploded in close proximity to one of the F-16Is, damaging the plane and forcing the pilot and navigator to bail out after they returned to Israeli airspace. Both crew members were injured during the ejection sequence. On Friday, the IAF revealed that the loss of the F-16I was likely an operational failure, during which the standard anti-missile countermeasures were not implemented, noting that the missile which downed the fighter is generally considered obsolete, particularly against modern fighters like the F-16I. Developed in the late 1950s, the S-200 has been in service for more than half a century, while the F-16I has been in operation only since 2004. While no formal report has yet been filed, IAF officials say it appears the pilot was unable to engage in evasive maneuvers, as required following the launch of the S-200 missile, due to an operational failure. This allowed the obsolete surface-to-air missile, ordinarily not a threat to the F-16I, to down the plane. A full report is expected to be filed next Tuesday.